Online registration for the 44th Annual ISS Meeting and MSK Imaging Course is now closed. On-site registration at the New York Hilton Midtown will still be accepted during the meeting. For questions and meeting information, please contact Tracy at (tracy@veritasmeetingsolutions.com). 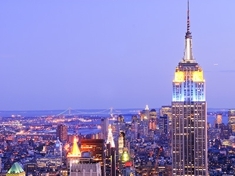 Looking to get tickets for the US Open while in NYC for the ISS Annual Meeting? Click here (https://www.nycgo.com/events/us-open-tennis-championships) to buy tickets to the 2017 US Open! Please see the chart below for the 2017 format and schedule of events, and the dates that each will be held.